Dreamer is specialized for atmospheres. 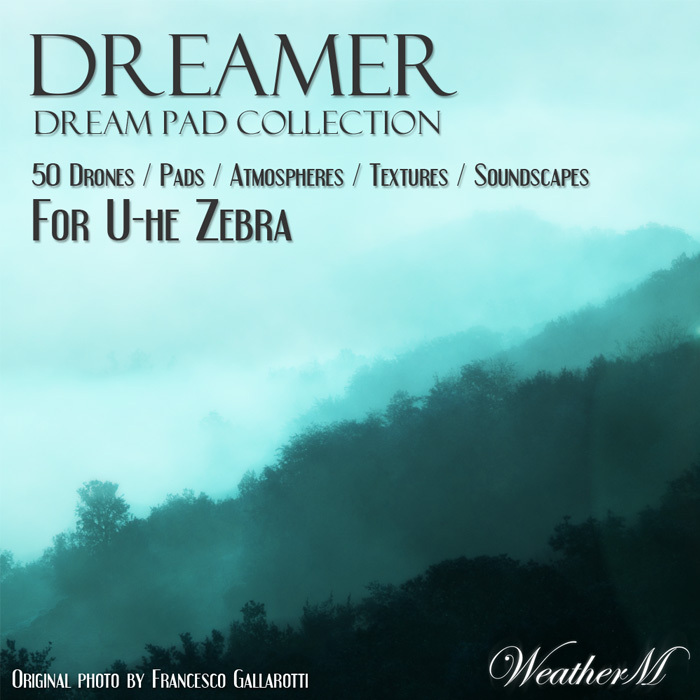 Dreamer is a collection of fifty Pads, Atmospheres, Drones, Soundscapes, Textures. Dreamer will be the perfect soundset for creating your own dreamy vibes and atmospheres. Now, are you ready to build your dream with Dreamer? All patches assigned to at least 3 XY pads. Requires U-he Zebra 2.5.2 or higher.